Laser Dentistry is a revolutionary step in dental care, which allows for the virtually pain free application of dental procedures with reduced swelling, trauma and bleeding. Crucially, the need for invasive implements and tools including the drill are eliminated. 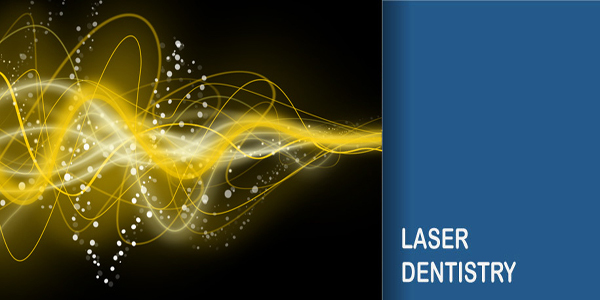 Laser Dentistry can be used during a number of soft and hard tissue procedures, in the areas of General Dentistry, Cosmetic Dentistry and Restorative Dentistry. The removal of decay, the preparation of cavities and root canal treatment can be completed painlessly and in minutes. Pin-point accuracy reduces the risk of spreading disease and bacteria and minimizes trauma or the need for pain medication. Do not require sutures (stitches). Minimum bleeding thus inhibiting blood loss. Minimum damage to surrounding tissue. •Crown Lengthening: They can reshape gum tissue (soft tissue laser) and bone (hard tissue laser) to expose healthier tooth structure. • Gummy Smile: They can modify the gum tissue to improve the appearance of a gummy smile. • Muscle Attachment (Frenula): A laser frenectomy is an ideal treatment option for children who are tongue tied and babies unable to breast feed adequately due to limited tongue movement. It may also help to eliminate speech impediments. • Soft Tissue Folds (Epulis): They may be used for the painless and suture-free removal of soft tissue folds often caused by ill-fitting dentures. •	Cavity Detection: early detection of cavities with the reading of the by-products produced by tooth decay. •	Dental Fillings/Tooth Preparation: They eliminate the need traditional dental drills and are capable of killing bacteria located in a cavity.However, dental lasers are not appropriate for the replacement of amalgam fillings, onlays or crowns. •	Tooth Sensitivity: They seal tubules (located on the root of the tooth) responsible for hot and cold tooth sensitivity.